I qualified as a dentist at U.C.C. in 1983. My first practice was in Kent, England; I returned to Cork in 1987, establishing a successful practice in Bridge Street. My years of experience (ever-increasing in number...) have shown me what can be achieved with technology and with the right personal approach. So in 2006 I opened Riverside Dental Care in Ferney Road Mahon – a state-of-the-art, three-surgery practice within easy reach for most Cork city residents. Initial reaction has been fantastic, and the practice is going from strength to strength. Attend regular training lectures and courses. 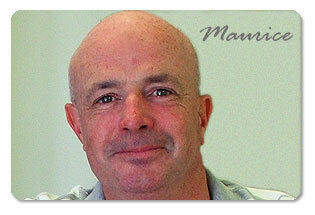 Special interests: cosmetic dentistry, endodontics and periodontology. Outside work, I play golf at Muskerry and Skibbereen golf clubs. I’m an avid fan of all sports. Kathleen has worked with Maurice for 20 years. Now receptionist at Riverside with responsibility for bookings, paperwork and finances, not to mention tea, coffee and guided tours! 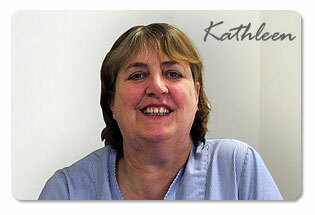 Kath provides every patient with a written treatment plan and estimate of cost before any treatment starts. She’s also up to speed on all the discount plans available for patients in different circumstances, and she’s the person to speak to about payment plans and other finance options. Hygienists are crucial to the success of Riverside Dental Care. These are the highly trained and qualified professionals who help us to improve and maintain the health of our gums. Good hygienists make the dentist’s life a great deal easier! 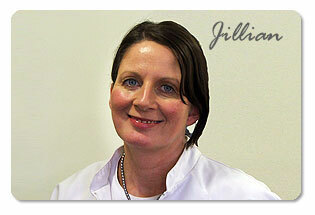 Jillian has been with Maurice for seven years. She qualified as a Gold Medal winner and is highly regarded for her work by patients and professionals alike. Riverside staff also take care of the day-to-day running of the surgeries, stock control and patient re-assurance! We can all answer your questions about equipment sterilization, x-rays, intra-oral cameras and all the other amazing gizmos we use these days. We also take our music seriously, so if you like what you’re hearing over the loudspeakers, let us know! Read what people are saying about Riverside Dental Care on Whatclinic.com.